If you think Photography should be FUN ~ then you've found the right place! I love the ocean, children and cake ~ what I can I say, I am nothing if not honest!! We Made a Texas Sized Splash! We had some Texas size fun didn’t we!?! In June the boys and I made a trip out to California to visit family. We have some dear friends who have recently moved to Dallas, Texas. Shooting a session in their new pool was a fantastic excuse to stop over and visit the Lone Star State!! We all had an amazing visit and with the Texas heat of course we pretty much lived in their beautiful pool! These boys rocked their first underwater session!! When I arrived mom told me how excited she was that we were able to organize this because as a mom of three boys, she doesn’t have nearly as many photos of her youngest as she does of the older two. She worried that her boys were at an age where fake smiles seemed to dominate their photos ~ but as you can see, there was no lack of fun had by all! I love that the kids have *almost* as much fun as I do 😉 Families show up time and time again telling me how excited the kids were to come to their Underwater Photo Session. Even those that aren’t quite sure what this is going to be like are having a blast by the second cannonball! Can we just stop for a moment and give Mom some props here? We had never discussed her going in. This session was scheduled just for her two youngest boys (biggest brother was home from college, but working). But I looked over, asked her, and she said “why not?! ?” And then she proceeded to absolutely rock the mother son underwater photos! So impressed!! Love you guys! Hope we can come visit for a session again next summer!! Update: Thank you Happy Togs for featuring the top image of this little guy crashing onto the water! The Happy Togs is an amazing community that supports Community over Competition in a beautiful way!! 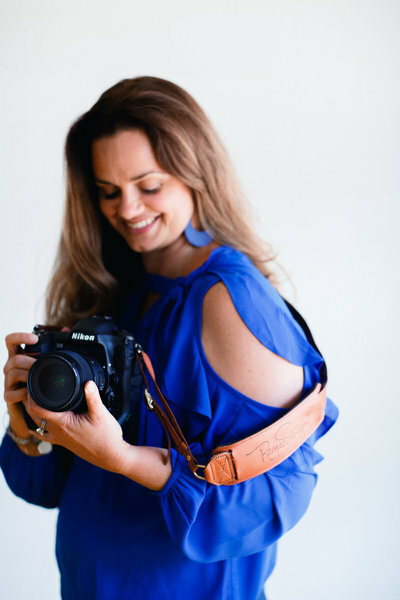 The group was founded by Tracy Joy, one of the photographers who hosted the workshop I attended in Charleston SC. Yes! The kids are always so fascinated by my gear and how it all works. And amazed that all I really want them to do is swim, dive, cannonball and play!!! Those are some awesome underwater pics! Looks like you all had a fantastic time. Thank you so much Melanie! The kids always have a blast ~ and so do I!! These are such lovely photos. Underwater photography is an excellent way to allow young kids to be themselves and be captured in the cutest ways. Yes, I think they made a big splash. Thank you Nadia! It really is. Parents are always amazed at how easy our underwater sessions are! No worries about outfit coordination, keeping kids corralled or entertained ~ the session itself IS the entertainment!! These are some very amazing underwater pics. Looks like the boys had a lot of fun. First underwater experience always brings some amazing pictures. Thank you so much for your kind words Moni!! It was such a fun weekend. I am so glad their family asked us to travel to them!! Thank you Pati!! For boys who swear they hate getting their picture taken ~ I think we did pretty well! What a fantastic photo session under water! I loved the first picture and the last one the most, but they are all amazing! Spectacular underwater photos. Kids having blast in water, such a joy for them and equally enjoyable to me. So kind of you to say Indu! We really do have a wonderful time in the water!! OMG how fun are these!!! I LOVE underwater photos! And those are definitely real smiles! The underwater photoshoot must have been a thrilling experience for you all. I would love to do it someday. Thank you Heather! It is such a fun style of photography – for me AND for the kids!! I have clients that travel to me and I am available for a limited number of travel sessions per year. I would love to connect! These are great pictures! It looks like you had so much family fun all together! Wow, love those underwater photos very stunning and this kids really have a lot of fun doing that. Your underwater photography is excellent. Your kids look like they are having such a good time. These are great. I bet he loves these pictures so much too! When my son first learned to swim underwater, he refused on swim normally for a whole month 🙂 Underwater photography makes everything look so surreal…really like these. Wow! What a lovely experience! I’ve become a fan of your excellent photography. Thank you Shaily ~ that is so kind of you!! I appreciate you taking the time to stop by!! Your photos underwater are absolutely amazing. The kids look like they had a blast too. I love your photography so much! This makes me want to try underwater photography. It is such an amazing adventure Danielle!! I post little videos on Facebook and Instagram about my Underwater work if you would like to follow along 🙂 Always happy to answer questions along the way! 31 Comments on We Made a Texas Sized Splash! Advance Info on Limited Edition Sessions!